League One Wigan Athletic have signed striker Craig Davies on a two-year deal after his release by Bolton Wanderers. The 29-year-old Wales international scored six goals in the Championship for the Trotters last season. 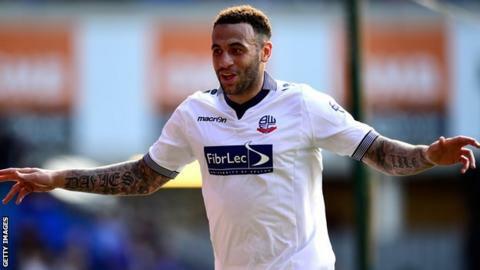 The ex-Manchester City trainee joined Bolton for a reported £300,000 from Barnsley in 2013 and has spent time at Oldham, Brighton and Chesterfield. "Craig's a powerful striker who has a proven track record in this division," said manager Gary Caldwell. He is the second player to join the Latics from Bolton this week, after Sanmi Odelusi, and is the seventh new signing so far this summer.